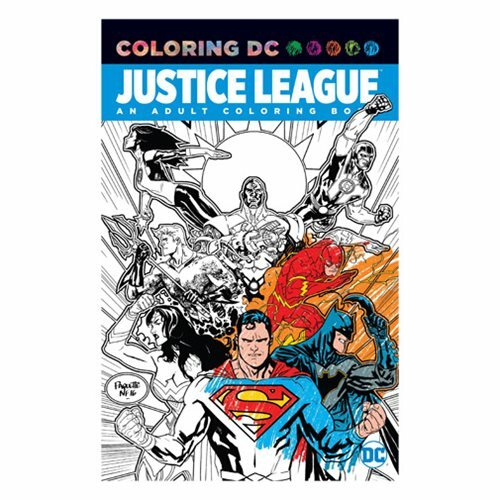 The Justice League Adult Coloring Book is sure to provide countless hours of fun. This adult coloring book features Batman, Superman, Wonder Woman, Aquaman, Cyborg, Green Lantern and The Flash. Makes a great gift for DC Comics and Justice League fans! The 96 page book measure about 11 1/2-inches tall x 7 1/2-inches wide.